At eFoods Global™ their delicious, nutritious and affordable foods are convenient for daily use and are also easily stored as reserves for use during times of need. Serve them. Save them. Share them. You can get 6 free meals for $9.95 shipping. Each meal serves four people and they tell me the food tastes great! 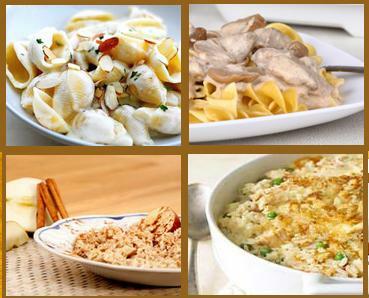 Meals such as: Almond Granola, Apple Cinnamon Oatmeal, Delicious Pancakes, Cheesy Chicken Rice Casserole, Chicken Veggie Alfredo Pasta, Chili with Cornmeal Dumplings, Vegetable Beef Stew, White Cheddar Pasta Shells, Beef Stroganoff and more!